The three points see the Men of Steel climb into the top four at the business end of the season. 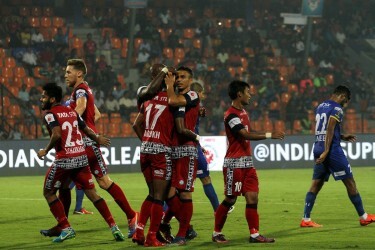 Steve Coppell led Jamshedpur FC consolidated their chances of qualifying for the Hero Indian Super League semi-finals as they shocked Mumbai City FC with a 2-1 win at Mumbai Football Arena, Mumbai. Jamshedpur were second best to Mumbai City for long spells, particularly in the second session. The visitors took the lead in the first half after Sanju Pradhan turned the ball into his own goal in the 37th minute. In the second session, Mumbai equalised through Everton Santos in the 79th minute. But just when it seemed like the match was heading for a draw, substitute Bikash Jairu scored with six minutes left to be played to hand Jamshedpur an important win. When you play with no defence in front of you, there is no use of being a great keeper like Amrinder. His performance was not the reason for Mumbai City’s defeat but it did mean that Mumbai lost another game with one of the best custodians in the country having to concede. Sahil Tavora played as a wing-back for his side and kept both Wellington Priori and Farrukh Choudhary at bay. His performance was capped by a shot on target and he did justice to the role he was assigned and did well for a young chap. Tavora tackled six times, cleared twice and blocked two shots. He produced a good defensive display but should have contributed more to the attack. The curious case of Sanju Pradhan- did well defensively and had a shot striking the upright but his positional awareness was quite poor, forcing goalscorer Everton Santos to drop back in defence which wasted a talented forward for Mumbai. Balwant was the guy who missed six headers in this match and it speaks volumes for a poaching striker of his style. 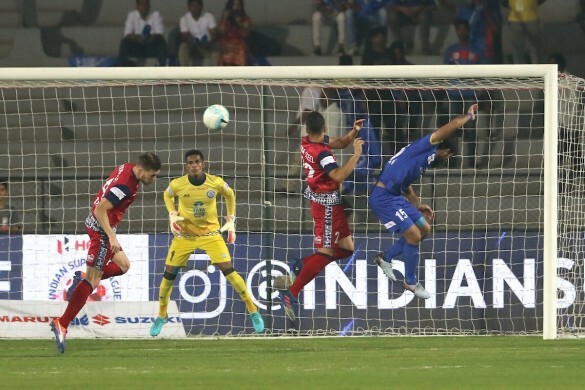 His wastefulness in front of goal meant that eight potential goals for Mumbai were missed and if Pranjal Bhumij was fit it would be totally justifiable to play a inexperienced forward over one who was that wasteful. 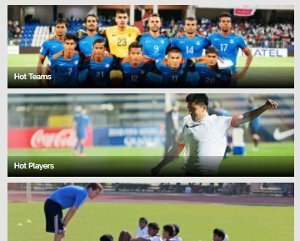 Zakeer was the star man in the heart of Mumbai’s midfield. He built on his performance in Goa and totally justified his selection over Sehnaj Singh. Mundampara should play more regularly and it will reap dividends for the Islanders. Mehrajuddin has past his prime and put on a retiree’s performance. He wasn't bad but wasn't effective enough in the backline. The Tata Football Academy product was as good as he has been, throughout the 90 minutes. It was Subrata Paul who made the difference between two sides that were sloppy in defence. Yumnam continued from where he left off against ATK. While the team failed to keep a clean sheet, he was excellent on the left flank and didn’t give Everton any chance to pass through him, until the goal happened. Talking about his statistics, Yumnam made seven clearances and blocked one shot. The Indian international was nothing less than a wall in front of the Jamshedpur goal blocking four shots. Mumbai City’s makeshift striker Thiago Santos did leave him surprised at times, but he was always present when and where his team needed him to be. The veteran though can do better. Souvik himself, carried on from his previous game’s performance contributing in both defence as well as attack. Apart from creating a chance, he also made four tackles and four clearances. The young attacker started the mauling right from the word go. Jerry has been phenomenal throughout the season and his performance against the Islanders was no different. A lively player like him would make you miss a lot in a few seconds. Another top notch performance from the midfielder. 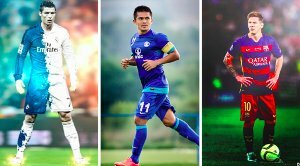 Farrukh turned out to be a nightmare for the Mumbai City defence when he dispossessed Wadoo, nutmegged Gerson VieirA and managed to get a deflection off Rosario for the first goal of the game. 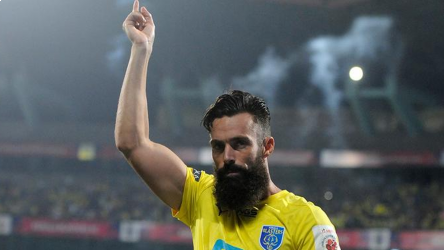 Except for the goal, the striker had a shot on target and gave the Mumbai defenders a run for their money. Bikash came in late and yet managed to get his name on the scoresheet. A super sub performance from the veteran Indian international.